Humans are not natural water lappers. We are supposed to get our need for moisture from the foods we eat. Since, meat, dairy and especially grains dehydrate us, we should be eating plenty of foods likes fruits, salads and veggies. The advice that we hear about drinking 8 eight ounce glasses of water is bad advice if you eat well. If you are on a Standard American Diet you DO need that much water to protect the kidneys. But on a healthy diet of low protein consumption, healthy fats and lots of fruits and veggies, you do not need to drink much water. Doing so will wash a lot of nutrients from the body, especially minerals. According to the old rule of thumb, you’re supposed to drink eight glasses of water per day (and some experts recommend even more). That can seem like a daunting task on some days, but here’s the catch: You don’t have to drink all that water. 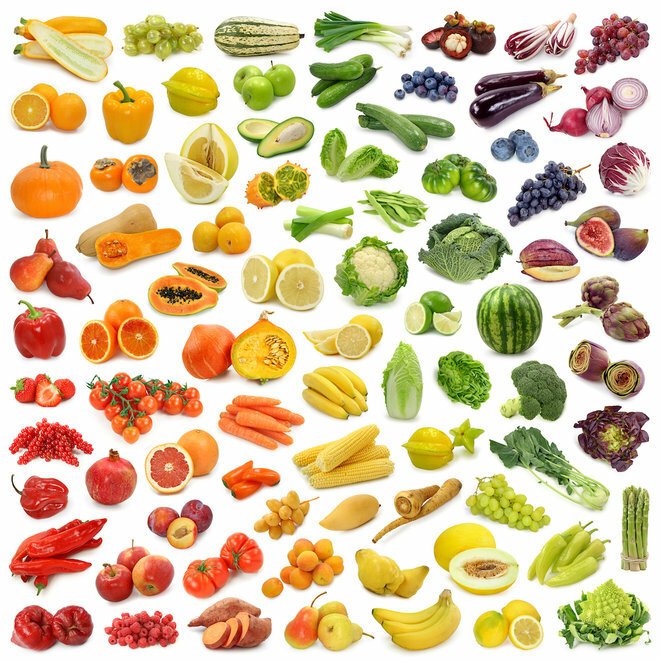 Roughly 20% of our daily H2O intake comes from solid foods, especially fruits and vegetables. That urban legend about celery having negative calories isn’t quite true, but it’s pretty close. Like all foods that are high in water, celery has very few calories—just 6 calories per stalk. And its one-two punch of fiber and water helps to fill you up and curb your appetite. These refreshing root vegetables should be a fixture in your spring and summer salads. They provide a burst of spicy-sweet flavor—and color!—in a small package, and more importantly they’re filled with antioxidants such as catechin (also found in green tea). It’s fairly obvious that watermelon is full of, well, water, but this juicy melon is also among the richest sources of lycopene, a cancer-fighting antioxidant found in red fruits and vegetables. In fact, watermelon contains more lycopene than raw tomatoes—about 12 milligrams per wedge, versus 3 milligrams per medium-sized tomato. Like its cousin cauliflower, raw broccoli adds a satisfying crunch to a salad. But its nutritional profile—lots of fiber, potassium, vitamin A, and vitamin C—is slightly more impressive. This juicy, tangy citrus fruit can help lower cholesterol and shrink your waistline, research suggests. In one study, people who ate one grapefruit a day lowered their bad (LDL) cholesterol by 15.5% and their triglycerides by 27%. In another, eating half a grapefruit—roughly 40 calories—before each meal helped dieters lose about three and a half pounds over 12 weeks. Researchers say that compounds in the fruit help fuel fat burn and stabilize blood sugar, therefore helping to reduce cravings. “I love cantaloupe as a dessert,” Gans says. “If you’ve got a sweet tooth, it will definitely satisfy.” Tired of plain old raw fruit? Blend cantaloupe with yogurt and freeze it into sherbet, or puree it with orange juice and mint to make a refreshing soup.